Lance Armstrong can finally rest easy. Eight years after former teammate Floyd Landis filed a federal False Claims Act lawsuit against Armstrong, one that could have cost the seven-time Tour de France winner up to $97.2 million, Armstrong has reached a $5 million settlement with the federal government. The case has had an extremely convoluted history since Landis filed suit back in 2010; the federal government joined the lawsuit in 2013 and Armstrong’s lawyers have fought for years to get it thrown out. The case was scheduled for a May 7 trial in Washington, D.C. District Court. While the settlement may seem large, it also represents the end of serious litigation against Armstrong. 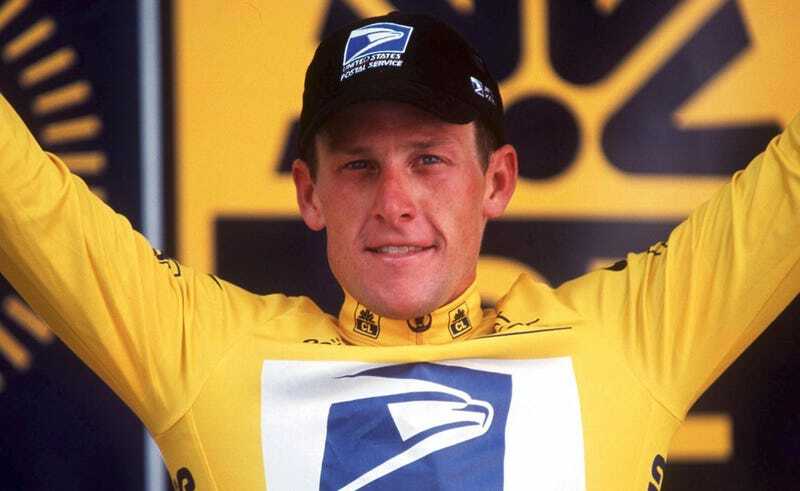 Armstrong rode for the USPS from 1999 to 2004, and he was paid $32.4 million during that time. Landis filed a whistleblower lawsuit against Armstrong during Armstrong’s final season in 2010, and the suit alleged that because Armstrong took illegal performance enhancing drugs—and forced his teammates to join him in doing so, and lied about it—he had technically violated his contract. Because Armstrong was a United States contractor, this meant he was being accused of defrauding the government. The False Claims Act states that the government is eligible to receive treble damages (up to $97.2 million in this case), with up to 25 percent allocated to the whistleblower who brought the case to the government. The case mostly stagnated, and after FDA drug warrior Jeff Novitzky dropped his agency’s investigation into Armstrong in 2012, it seemed that Armstrong was in the clear. But shortly after USADA released damning and conclusive proof in October 2012 that Armstrong had doped for the duration of his career and strong-armed his teammates into following a program set out by his doctors, the federal government joined back up with Landis’s lawsuit in an effort to recover some of the money they had paid Armstrong while he rode for USPS. Armstrong has paid out over $36 million in legal fees and settlements since retiring from professional cycling, and while he’s lost all his sponsors, he remains in healthy financial shape. But as Outside Magazine wrote last year, Armstrong didn’t have the cash on hand to pay out a full $100 million, should he have been held liable. It would have been a gross injustice if Armstrong was financially ruined by the lawsuit, since the USPS’s own internal studies showed they made more than three times what they paid Armstrong in exposure. Armstrong can now move on.